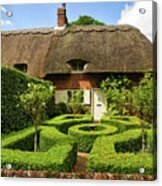 Thatched Cottages In Chawton 7 by Shirley Mitchell - 10.000" x 7.125"
Thatched Cottages In Chawton 7 framed print by Shirley Mitchell. Bring your print to life with hundreds of different frame and mat combinations. Our framed prints are assembled, packaged, and shipped by our expert framing staff and delivered "ready to hang" with pre-attached hanging wire, mounting hooks, and nails. There are no comments for Thatched Cottages In Chawton 7. Click here to post the first comment. 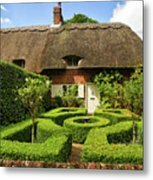 Charming thatched cottages in the Hampshire village of Chawton, with unusual geometric box hedged garden. 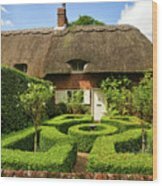 Chawton is well known for the residence, now museum house, of the author Jane Austen, who lived here for the last 8 years of her life. Many of her better known novels were written while in residence in Chawton.